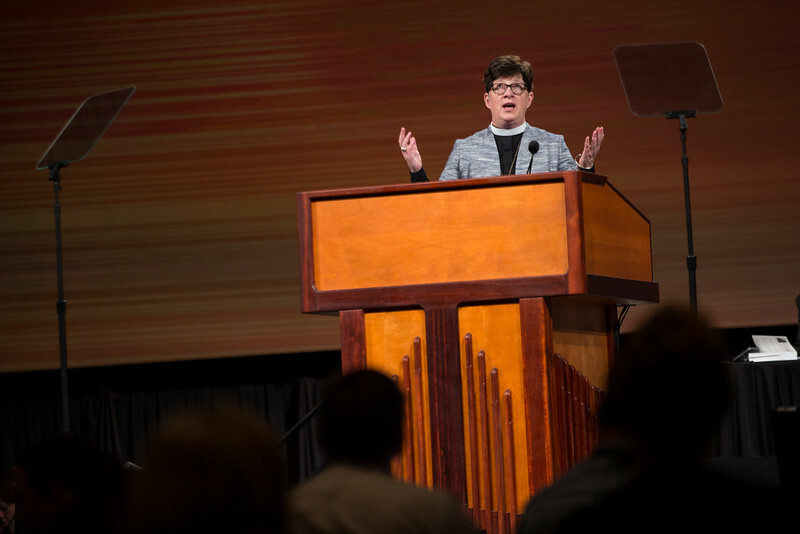 08.10.16 - 2016 Churchwide Assembly, New Orleans, LA - Bishop Eaton speaks during Plenary 5. The ELCA voting body approved the Declaration on the Way. There were inter-religious and inter-faith greetings. The 2017-2019 budget was approved.